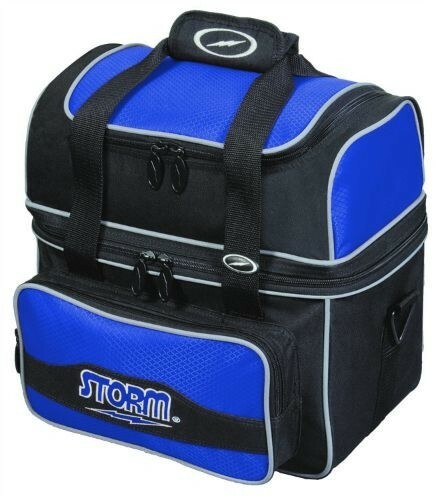 Look professional with the Storm 1 Ball Flip Tote. The perfect holster for your bowling weapons! Carry 1 ball, shoes, and accessories to your next league night or tournament in style. Is the shoe holder a side compartment? The shoe compartment will be on the inside of the bag. Is there a separate compartment for your shoes? And is there any type of foam to keep the ball in place? Yes, there is a separate shoe compartment for the shoes and there is a foam ball cup to keep the ball in place. Due to the time it takes to produce the Storm 1 Ball Flip Tote Blue/Silver ball it will ship in immediately. We cannot ship this ball outside the United States.